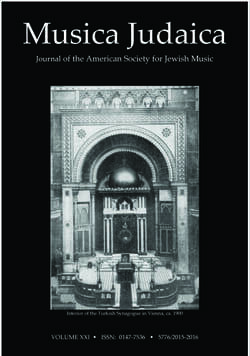 The introduction of art music into the European synagogue began in the late 16th century. Under the influence of Kabbalistic tradition, night vigils were organized throughout Europe as part of remembrance and celebration. Such events were held on a number of different occasions, including the night before Hoshanah Raba, a holy day which marks the last opportunity for obtaining divine pardon - as an extension of the Day of Atonement. Each country obtained a unique title; In Italy, this day was called the "Day of the Great Seal." This program will present this repertoire through instrumental and vocal music by Italian, French, Austrian, English and Dutch composers of 17th-18th centuries. Some of the music showcased here was commissioned by major European synagogues and performed during different occasions of the annual liturgical cycle, including the “Day of the Great Seal."